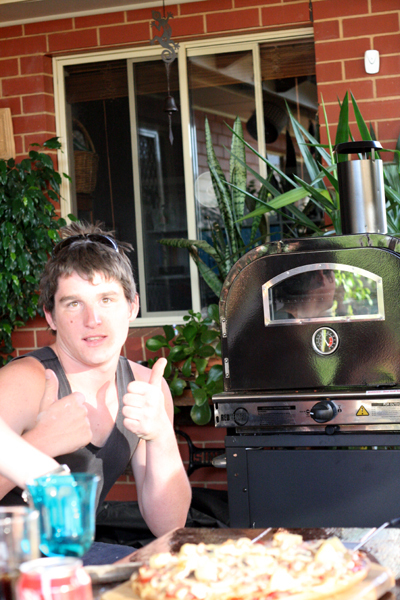 thanks to a brilliant 21st gift from Mitch's work mates..... the most amazing pizza oven. So the family have declared that Tuesday nights will now fondly be known as "Pizza nights"
it could just be that Mitch was in charge....and all I needed to do was sit back and enjoy the evening....knowing that very soon Id have a delicious slice of pizza for tea. for others to join us as well. I'm already looking forward to next Tuesday.... funny about that. 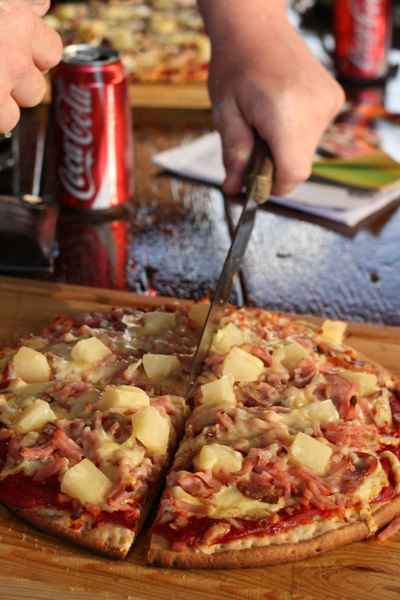 Looks like a wonderful family time and the pizza looks delicious!